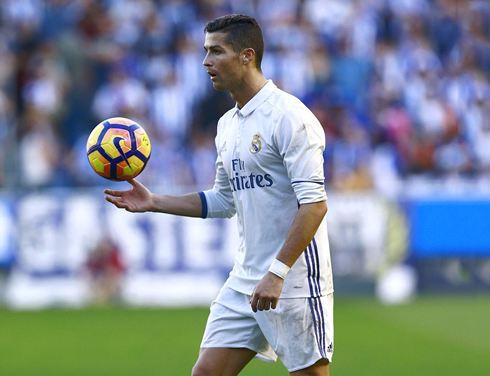 ﻿ Alavés 1-4 Real Madrid. Ronaldo bounces back with a hat-trick! 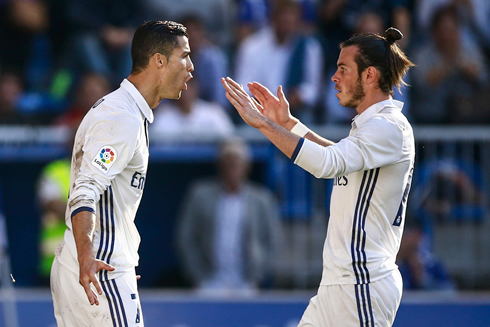 29.10.2016 » Alavés 1-4 Real Madrid. 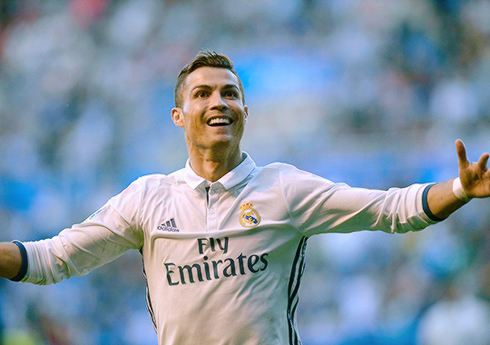 Ronaldo bounces back with a hat-trick! 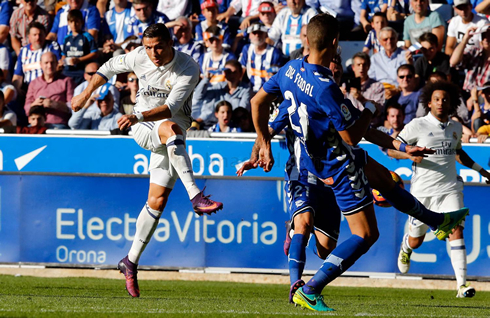 Real Madrid didn't slip in their trip to Alavés and defeated the locals in a clear 1-4 win. Cristiano Ronaldo grabbed his first hat-trick of the season and made sure that the 3 points would be brought to the Spanish capital. Alavés, who earlier in the season had already knocked off Barcelona at the Camp Nou, are also not a team to lie down and the electric Theo Hernandez showed early just how determined they were. After Danilo was dispossessed, he blazed down the wing before centering to the Brazilian forward Deyverson. And just as he did vs Barça, he slotted home a goal. Seven minutes in and Real Madrid were already one goal down. But the response would be fairly swift and somewhat lucky as well. After a Gareth Bale free-kick seemed to hit off Deyverson's elbow, the referee pointed to the spot. And of course, Ronaldo stepped up to take it. With all the pressure he's been under lately, it was clear just how important this spot kick was, and he calmly placed it home. But upon further review, it appears the ball may have bounced off the Alavés player's head. In the second half, Real Madrid would continue to push while Alavés also searched for an equalizer. 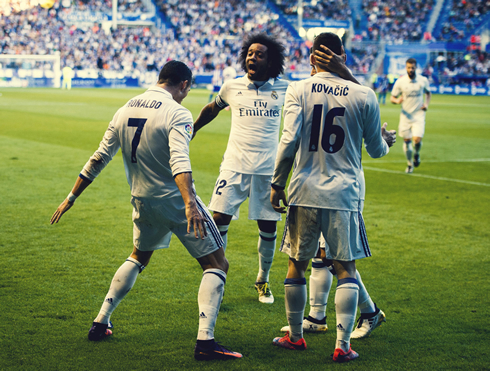 Kovacic and Marcelo were running the show for Madrid. The Croatian in particular has been so good as of late. In the 79th minute, Ronaldo went down in the box after having his shirt tugged and he stepped up hoping to convert for a hattrick. But Dani Pacheco, the former Madrid keeper, did well to save the goal. Ronaldo was visibly upset with himself. But the Merengues would put the game beyond doubt thanks again to substitute Álvaro Morata. Latching onto a brilliant long-range pass from Marcelo, the Spanish forward hit a one-time lob over Pacheco to make it 3-1. Morata has been in a rich vein of form recently and he's putting tremendous pressure on Zinedine Zidane to select him over Benzema. And despite his earlier mishap, Ronaldo would get his hattrick in the 88th minute after some intricate passing with Marcelo. Ronaldo slotted home his finish from near the penalty spot. All in all, great game for Madrid and Ronaldo's confidence as well. There are bigger games to come, so it's important to work out the kinks in matches like these.